Major Emergency Management Initial Response course will be presented by a professional OIM who handles such operations and procedures. Purpose is to let the delegates undergo various simulated emergencies and learn command, control and communications in an emergency situation handling while maintaining calm. The aim of the MEMIR Training is to equip personnel with formal training in command, control, communications and stress-related factors in the management of major emergencies. In addition, this programme also provides initial emergency management training for personnel who are undertaking a training and competence programme to progress to the role of an emergency response manager. a) Understand the key factors of preparing for, responding to, and maintaining control throughout the development or escalation of an emergency situation. b) Learn how to manage communication, emergency-related information and put into place predetermined plans at the point when the emergency alarm has been raised, to the point when the emergency manager is assured that the emergency is over. c) Understand how stress can impact on individuals and team performance during emergencies. 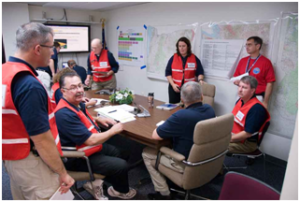 d) Have the opportunity to role-play as the emergency manager in a minimum of two specific types of emergency scenarios. This is a key element of the training programme, and is backed up by constructive feedback from the course instructional team. OIM, Barge Master, Health and safety leaders and those who are members of the on board emergency response team. Review, manage and assess the information available in an emergency situation in a timely manner. Establish priorities and take effective action. Implement predetermined emergency plans and procedures in the context of the current emergency. Efficiently communicate information and instructions. Keeping appropriate agencies informed through the support Emergency Response Team. Evaluate progress and communicate changes in plans and priorities. Effectively delegate authority and manage individuals and teams. 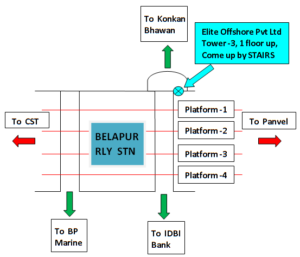 Copyright © 2019 Elite Offshore Pvt Ltd. All rights reserved.